Abused by scourge and thorn. To set Your people free. Your earthly life has flown. Your mercy was made known. 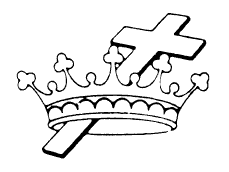 And share Your cross and crown. The fullness of Your grace.